CANANDAIGUA, N.Y. (April 25, 2018) — A prolific supporter of both the CRSA 305 Sprint Series and Patriot Sprint Tour in past seasons, new Land of Legends Raceway promoter Paul Cole has provided yet another monetary boost for winged warriors invading Ontario County in 2018. Creation of the inaugural Land of Legends Raceway 360 Sprint Classic Series is set to encompass four race dates with Empire Super Sprint and Patriot Sprint Tour travelers in line to share a lucrative $4,000 point fund posted by Cole’s own SuperGen Products business, a major supplier of Champion Power Equipment. A-Verdi Storage Containers presents round #1 of the LOLR 360 Sprint Classic Series on May 5, with top touring Patriot pilots headlining the first ‘Saturday Spectacular’ in the first full month of short-track competition in Canandaigua. Patriots also close out the four-race stint alongside GRIT Sportsman contenders in the final mid-week show of the season on Wed. August 29. In between, the stars and cars from the Empire Super Sprint organization are showcased during the second and third series stops at the fairgrounds. ESS doubles with the mighty Big-Block Modifieds when Honeoye Auto Parts presents a Super DIRTcar Series showdown on Thr., July 5 before returning on Aug. 4 in another ‘Saturday Spectacular’ sponsored by Tradition Chevrolet/GMC. A lion’s share of $1,500 from the $4,000 pot is saved for the overall 360 Sprint Classic Series champion, with points allocated to drivers in qualifying races as well as each 25-lap A-Main. A driver MUST enter all four series events to be eligible for season-ending awards that include $750 2nd-place, $500 3rd-place, $300 4th-place, $250 5th-place, $200 6th-place, $150 7th-place, $100 8th-place, $100 9th-place, $100 10th-place and $50 for last-place. Early favorites to claim the 360 Sprint Classic Series crown are all-time Patriot winner Chuck Hebing and Frenchman Steve Poirier who tops the ESS career win list. Hebing has taken five checkered flags at LOLR (also 2 ESS wins) and Poirier has two (also 2 Patriot wins) in their recognized divisions. A year ago Jason Barney, Larry Wight and Bryan Howland scored ESS victories while Poirier won the last Patriot feature race staged at the legendary half-mile clay oval in 2016. 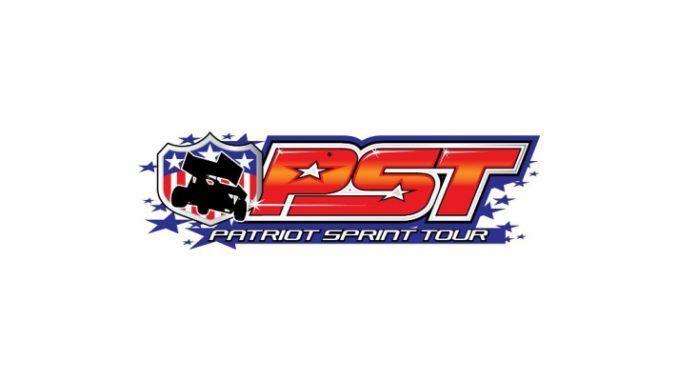 Fans as always are encouraged to log onto www.patriotsprinttour.com as well liking Patriot Sprint Tour on facebook and following @PatriotSprints on Instagram and Twitter.